⇒ Reporting on the compliance of ‘Other laws as may be applicable specifically to the Company’ which shall include all the laws which are applicable to specific industry. ⇒ Examining and reporting ‘whether the adequate systems and processes are in place’ to monitor and ensure compliance with general laws like labor laws, competition law, environmental laws etc. Click here for Format of the Secretarial Audit Report will continue to be MR-3. Reporting on ONLY compliance of SEBI act, regulations, circulars, guidelines by SEBI time to time. a. With respect to the Annual Secretarial Audit Report, in the annual reports of the listed entities and the material unlisted subsidiaries from the financial year ended March 31, 2019, onwards. b. With respect to the Annual Secretarial Compliance Report, applicable to listed entities, with effect from the financial year ended March 31, 2019, onwards. SEBI came up with the most awaited notification to enhance the level of Corporate Governance and the level of transparency. The aim is to examine the effect of good corporate governance practices on corporate transparency and performance of all listed companies and their material subsidiaries. Compliances is an important element of efficient management and ensure better scope for stakeholders as it can enhance the credibility of the performance of any organization in the considerable course of time and process. The SEBI Committee on corporate governance was formed on June 2, 2017, under the Chairmanship of Mr. Uday Kotak with the aim of improving standards of corporate governance of listed companies in India. The Committee’s approach to the recommendations has been driven by the primary objective of enhancing corporate governance for listed entities. In this regard, the Committee believes that there are certain recommendations which may require implementation by authorities/regulators in addition to SEBI. Therefore, the Committee has suggested that SEBI take up such recommendations with the relevant authorities/ regulators. *Practicing Company Secretary holding a valid Certificate of Practice issued by ICSI. By amending the Rule, Every listed entity and its material unlisted subsidiaries incorporated in India shall undertake secretarial audit and annex with its annual report, a secretarial audit report, given by a PCS, in such form as may be prescribed w.e.f. the year ended March 31, 2019. We seek to understand how corporate governance affects transparency in emerging corporates, where information asymmetry is endemically high. The results are robust step by SEBI with notifying the Format for Annual Secretarial Audit Report and Annual Secretarial Compliance Report for listed entities and their material subsidiaries. More fundamentally, we believe that the responsibility of professionals as well as Board members of Companies extends beyond disclosure. 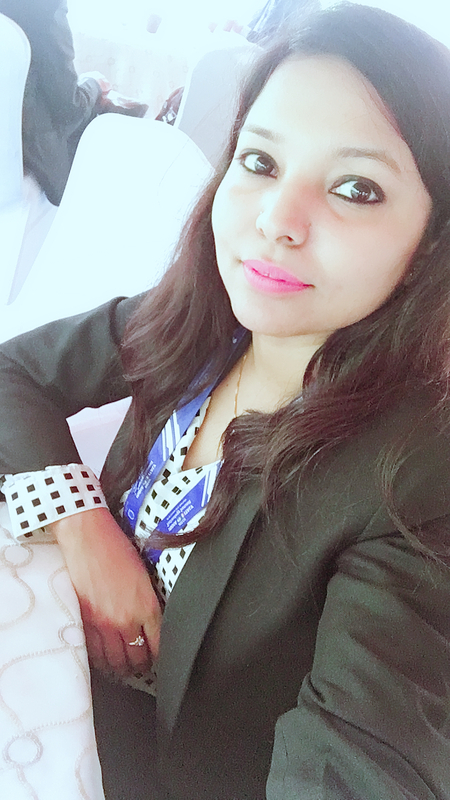 Currently, Section 204 of the Companies Act, 2013 read with rule 9 of the Companies (Appointment and Remuneration of Managerial Personnel) Rules, 2014 requires Secretarial Audit by Practicing Company Secretaries (PCS) for listed companies and certain unlisted companies above a certain threshold in From No. MR-3. ICSI on April 6, 2015 has issued guidelines for issuing secretarial audit report –Effective from the financial year 2015-16. For a firm of Company Secretaries, the ceiling in respect of Secretarial Audit would apply to each partner. While the Annual Secretarial Audit shall cover a broad check on compliance with all laws applicable to the entity, listed entities shall additionally, on an annual basis, require a check by the PCS* on compliance of all applicable SEBI Regulations and circulars/ guidelines issued thereunder, consequent to which, the PCS shall submit a report to the listed entity in the manner specified in this circular. A qualification, reservation or adverse remarks, if any, should be stated in bold type or in italics. If unable to express an opinion on any matter, he should mention that he is unable to express an opinion on that matter and the reasons thereof. The listed entities and their material subsidiaries shall provide all such documents/information as may be sought by the PCS for the purpose of providing a certification under the Regulations and this circular. Duty of the Company to give all assistance for auditing the secretarial and other records. The Board of Directors, in their Report, shall explain in full any qualification or observation or other remarks made by a company secretary in practice in his report. Further; the Board of Directors; in its Board’s report, shall explain in full any qualification or observation or other remarks made by the Company Secretary in Practice in the Secretarial Audit Report/Secretarial Compliance Report. Abide by all applicable laws and the internal regulatory framework. b. The listed entity has maintained proper records under the provisions of the above Regulations and circulars/ guidelines issued thereunder insofar as it appears from my/our examination of those records. Provide the list of all the observations in the report for the previous year along with the actions taken by the listed entity on those observations. Add the list of all observations in the reports pertaining to the periods prior to the previous year in case the entity has not taken sufficient steps to address the concerns raised/ observations. all the observations in the report for the year ended 31st March, 2020 along with the actions taken by the listed entity on those observations. Deals with penalty for false statements. The section provides that if in any return, report, certificate, financial statement, prospectus, statement or other document required by, or for the purposes of any of the provisions of this Act or the rules made there-under, any person makes a statement,— (a) which is false in any material particulars, knowing it to be false; or (b) which omits any material fact, knowing it to be material, he shall be liable under section 447 (Punishable for Fraud). Non-compliance of Listing Regulations may lead to compulsory delisting of the non-compliant listed company will take place which will be commenced by the stock exchanges in accordance with the provisions of the Securities and Exchange Board of India (Delisting of Equity Shares) Regulations, 2009 read with the Securities Contracts (Regulation) Act, 1956, the Securities Contracts (Regulation) Rules, 1957 as amended from time to time.